There’s one defining characteristic way about the way I plan: I may not win, but I never lose. (You may have picked up this sentiment from some of my discussions of strategy.) Hence I will focus my efforts disproportionally towards avoiding bad outcomes rather than seeking good outcomes. This leads to a modest but tranquil life; perhaps suitable for a stoic. It also annoys the optimists. As you may have noted, I have a background in peak oil. Peak oil is currently at a stage where climate change will be in ten years. Nobody denies it anymore. When I first got interested in it, back in 2001/02, this was far from the case. The USGS and the IEA were very optimistic (they have since brought their predictions in line with more realistic numbers based on reality rather than on predicted economic demand(*) ) and peak oilers were somewhat of a fringe group. Officialdom believed in the magic of technology. It was considered a crazy idea that oil would ever exceed $100. (It later did.) We had very reasonable and rational arguments that it would—and it did. But we were unable to convince anyone else about it. We could only prepare for it on our own. (*) The theory being that if you and I are in a lifeboat in the middle of the ocean and we’re running out of water, then if I write you a big enough check, you will mange to procure/invent a glass of water for me. What to do? I decided to “leave” the field and stop preaching to the choir—I have learned what I could and taught what I could. (Since then the choir has gotten much much bigger. Back then there were only a small handful of books about peak oil—I’m a coauthor of one of them. Now there are dozens. A huge problem with peak oil (like with climate change) was that the problem is caused by the emergent behavior, the sum total of many individual behaviors, of all of us. An even bigger problem is the problem Hardin discussed as the tragedy of the commons. His only solution was enlightened self-restraint. Our current solution is war. For this, I eventually found a better solution. Or maybe it found me. If I save a lot of money AND learn to live on very little by being adaptable and widely skilled, I can retire early in the present. This is a good thing all around. There are essentially twothree extreme outcomes for the future. Remember that I never lose. 1) Fears about overpopulation, climate change, and resource depletion turn out to be overblown. Fusion gets developed within the next 20 years. Soon thereafter technologists discover warp drives and free beer. The outcome of this scenario is that my savings will grow at 10% annually. Anyone pursuing ERE will be wealthy and spend the rest of their life having fun in whatever form that may take. 2) The fears turn out to be true. In about 2-3 decades, things will begin to change for the worse—you can argue this has already begun. The financial system will enter an extended decline, etc. This will happen concurrently with real world shortages in energy, water, and/or food. Anyone pursuing ERE will be in the right frame of mind to deal with this better than almost everyone else. For instance, did any of you guys notice personally that we have some kind of recession going on? No impact here. 3) Everybody adopts ERE. Disaster is avoided, but you won’t be getting 10% investment returns. In fact returns may likely fall a lot. This will be bad for the credit based growth economy (as nobody is interested in credit anymore), but the increased focus on the future means that economic production will focus on durability rather than turnover. Overall, this will be a lot less wasteful. At any one time the future is somewhat in a “fog”. The best strategy is therefore to plan for multiple outcomes making sure that actions are chosen out of a set so that the subset has optimal outcomes for minimal investments (Reverse fish bones / web of goals). ERE is the best strategy I have been able to come up with for individuals. It should allow for a happy retirement/life. For a more community oriented approach, consider Transition Towns. To be able to think, a frame work is needed. If I had to present you with just three books which would give the best understanding of how to navigate the 21st century, the books below would be it. Of course, reading books are not going to substitute for actual learning. I have read many books on racing sail trimming—adjusting the sail for maximum aerodynamic drive—but while this has helped me become a better trimmer it does in no way replace the experience of being on a boat and going through the motions under real conditions. Conversely, one can be going through the motions for many years without really understanding what’s going on. For that books are helpful. Another caveat about books is that they can never present the complete picture. All books have a certain perspective, which means they concentrate on some things and leave out other things by necessity. An advanced text must leave out the basics lest it be a thousand pages long. A basic text must skimp over advanced understanding. So I picked three. But note that I picked them after having read hundreds. If these are among the first handful of books you ever read—some people truly don’t read—they may not be sufficiently digestible. It also means that just three aren’t going to cut it. These are just the beginning … or the end. This book provides the perspective from 10,000 feet. Maybe 100,000′ is more accurate since this book describes problems of a planetary scale. We are talking humanity as a whole; problems which go beyond humanity; and powers which are beyond the capability of humanity to control. This is the best AND the most depressing book I have read in my life. It was written in the late 1970s and then put on hold while Catton was looking for a publisher because the market for such books was believed to be saturated. It never got the appreciation it deserved and it’s a tragedy that it’s not on everyone’s book shelf. The idea of overshoot is that our culture (farming and later industrialization) was formed during a time which the carrying capacity was greater than the impact of humans. If this capacity has capital reserves such as soil or oil, it is possible to exceed carrying capacity briefly—much like having savings allows you to spend more than you earn. This is called the overshoot and it is followed by collapse. You see a similar pattern in the way we have structured our economy. Our economic understand has been patterned on the ideas of growth and infinite substitution—essentially the world as it was in the mid-late 19th century. As substitution becomes impossible and as every niche becomes exploited/developed, growth stops. What we were seeing in the past ten years was the capital drawdown as people built unproductive mansions and filled them up with unproductive stuff. This is now been followed by monetary capital destruction on a massive scale as asset values plummet AND real capital destruction as mansions get boarded up and left empty. The reason why this book is so important is that it teaches us to think ecologically. It is where I started my ecological education and it has formed my thinking ever since. You see a lot of its ideas in the ERE book. This book provides the perspective from 1,000′. The strength of this book is that it is mostly descriptive rather than normative. The level of insight is truly amazing (I’m not easily amazed! ), especially given the level of details. Instead of thinking of people and institutions as different species, they are described as organizations. This means that there are far fewer players that matter and consequently fewer degrees of freedom that matter. Considering transnational corporations as fiefdoms with various governments as simply another player (fiefdom) is brilliant. (Also see the sovereign individual.) It also explains why a representative democracy is failing the middle class. In my work I have mainly concentrated of how the system affects the individual in the middle class and ways to opt out, without considering the greater scope of things (politicians, underclass, middle class, financial class). Survival+ explains why the system works as it does. In particular, why do corporations and institutions act as they do and what they may do. Essentially, it is an explanation of the organization sized ecosystem we inhabit. This book provides the view from 100 feet up. If you get the image of this being close enough to shout but too far away to hold your hand, you get the picture! I can’t say objectively whether this book is good or not but as far as I know there are none other like it. As many have pointed out, this book has little to do with early retirement in the direct sense, much like a hammer has little to do with a house. It is more of a guide on how to think. If you learn how to think, navigating the financial and economical systems described in Survival+ becomes easy as you’re not locked into the typical structures that are designed to leave the people in them “locked in” without a freedom to choose. Well, maybe not that easy, but I become financially independent about 8 times faster than people in the middle class traditionally do, so that’s saying something. By design, this book is not directly useful without a working knowledge the fundamentals. Returning to the sailing analogy, it will explain the aerodynamics of sail twist and draft, but it will not show a picture of where to find the mainsheet and other controls on a boat. For handholding, google is your friend. If you don’t know how to make a budget, you don’t need a book—you can google for the instructions and get them in 15 seconds. You can read these top-down or bottom-up whichever way suits your style of learning. If you start from the top you’ll know why, but you won’t know how until the end. If you start from the bottom, you’ll know how, but not why until you’re finished. I think starting from the top is more efficient. Starting from the bottom means learning the right things by accident, along with a bunch of useless things. Starting from the top means you don’t have the technical background to appreciate a lot of the things. The beauty of the hedged strategy is that it has a positive outcome no matter what happens. The nonhedged strategy may turn out well or it may turn out badly. The point is not who is right or wrong or what is going to happen. With a hedged strategy the exact prediction of the future does not matter. If a system allows such a solution you take it. ERE is such a solution. Much thanks to TL for the donation. 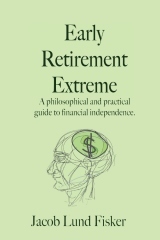 38 users responded in " The hedged nature of early retirement extreme "
Thanks for the recommendations, I reserved survival+ from the library and will read it soon. I think I will skip the Overshoot for now, it just sound too depressing. I’m an optimist and I believe the good times will last much longer than 2-3 decade. A lot of people are just coming out of extreme poverty around the world and they will begin another cycle of prosperity. @retirebyforty – I’m pessimistic regarding the world as a whole, but I’m pretty sure I can overcome it. It also depends on how you define “good times”. A big question right now is where this prosperity (presuming you mean economic prosperity) is supposed to come from. Where are the resources located and who will buy the products. It seems a given that India and China will make them, but the other two points are unclear to me. I am not certain the win/lose dichotomy is the best framework for what Jacob is advocating. Hedging is a contrarian move to protect one’s long play; and ERE is certainly contrarian. But human life is far more complex than a game of chess, where the only results are win, lose, or draw, whether it takes 10 moves or a hundred. To me, what Jacob really espouses is adaptability informed by an ecological consciousness. For example, learn to rely on a bicycle you can repair yourself not just because peak oil will make driving your SUV prohibitively expensive, but because the oil-based economy has already begun to decline and the bicycle solution is a better adaptive response for society as well as the individual. I suppose ultimately, it is how you define loss. If someone is a typical consumerist, the inability to drive to the mall and purchase the latest designer clothing will be felt as a distinct loss. The need to actually cook a meal, rather than swing by Applebees, will perversely seem as a losing proposition. For me, loss is mostly about the decline of bodily or mental integrity with death as the endpoint. I don’t mind cooking a pot of beans, but the death of a friend — whether physical or social (as in “Why won’t you come spend with us?”) — is the sort of loss I want to avoid. And my greatest fear is ending up alone at 80 with physical limitations that would make me dependent on another. @Maus – This may just be semantics. Adaptability is in my mind a form of hedging. It has a cost like resilience from redundancy also has a cost in the sense of maintaining possibly superfluous capacity. The value of adaptability depends on one’s environment [chapter 7 😉 ]. In a scarce environment it allows one to use more resources. In an abundant environment, adaptability is a costly skill. I think I define loss in the game-theory sense of having made a choice that could lead to a bad outcome. I can imagine the bad consequences of overextending credit and being 25 miles away from places of work with no useful skills with health problems, etc. which would be a bad outcome if the play was for consumer cornucopia and this turned out to be wrong. I can also imagine the bad consequences of spending your life in a bunker eating MREs while everybody else happily go about their day and nothing happens. What I’m saying is that the ERE outcomes are preferred regardless of what happens. There is a fourth possibility. If all the peak oil/climate change hysteria proves to be nothing more than just that – unfounded hysteria. Still, the ERE philosophy wins, because ERE is a way of taking yourself out of the “hysteria loop,” so to speak, and thus renders you immune to most of the negative effects of the popular delusions and madness of crowds. @Frank – Isn’t that part of the 1st possibility? To me a 4th possibility would be that the government decides to seize all savings and investments and put “fat cats” like us in the labor camps. There is a difference between “overblown” and “fraudulent,” of course, in that “overblown” implies that the phenomena are real, just overestimated. But I agree – the possibility of a paranoid, rapacious government seizing savings and investment is a more likely scenario than peak oil or global climate catastrophe. I don’t know enough about resources to comment, but I know who’ll buy the products. Those Chinese and Indians will be a huge consumer segement in the next decades. This is anecdotal, but when I was 8 in Thailand there was one TV in the neighborhood. Now every house has 2 TVs. Everybody wants to buy more craps, not just Americans. I’m sure everyone has stories from childhood. @retirebyforty – It was a rhetorical question. The additional resources don’t exist. We can divide the existing supplies up between us. This is why China is making deals with Iran and why the US invaded Iraq (and has military bases in over 100 countries). The distribution of those resources determine the future. Insofar it’s economic, which has a higher return of investment: using energy to make ipods in China or heating up a home in Wyoming? Insofar it’s war, who can afford the most powerful military? Interesting. I bought both your both and “Survival+” at the same time from Amazon. Reading yours now. His next. I suppose I must be quite the cynic, because your first option just made me laugh. I was waiting for a note about all of us riding unicorns for transportation. Thanks for the more books to add to my ever-growing list (basically all recommended by you). I think I’ll read Overshoot next. I must say though, it’s slightly depressing reading these books. Reality hurts! Nevertheless, they must be read. Ignorance is not bliss. IF society is to collapse, do you have any ideas on when it will happen? What will be the nature of the collapse? Sudden or gradual? What will society look like after? I know it’s hard (futile?) to predict, and I know I’m better off just reading the book, but in the meantime I’m really curious and I value your judgement. @gibberade – The World3 model which has a pretty good track history says 2020-30 and that it will take about a decade. Hence, stocking 6 months of rice is not going to work. Getting the time right is a sure-fire way to make yourself look foolish. Getting the form right is nowhere near as hard. What’s it going to look like? Some combination of Russia and Argentina. As the government can afford less and less it’s going to “outsource” more and more to voluntary services or simply cut services. When these services include health care you can expect mortality to go up. When they include police, you can expect petty crimes to go up while being ignored although serious cases will see get official attention. In other words, don’t get sick and don’t defend yourself too vigorously. Thanks a bunch! I’m really looking to educate myself on these sorts of topics and get prepared. Jacob, you provided views from 10k, 1k, and 100 ft. All great for the external. What about ground zero? Happiness, motivation, spirituality, psychology, etc. Books you like that have helped you see and understand yourself more clearly. Are there previous posts? Jacob, can you provide more insights into what resources we are predicted to run out off? I have trouble believing that we are close to any real level of resource depletion, perhaps oil will get more expensive due to lack of supply but in the longterm this isnt really a problem since I believe most of the infrastructure can be replaced over a time (I do believe its a shame USA isnt moving this shift along with a high gasoline tax). I dont believe we are looking at major food shortages either, and considering the falling birthrates in Africa and Asia I believe its just a few decades before the human population will top out and the world can seriously start working on a sustainable path. So, my two uneducated cents, but perhaps you can persuade me with some more actual resources that we cant survive w/o. @Caine – I think it depends on what kind of religion you subscribe to. It turns out that my beliefs are quite aligned with stoicism. I’ve only begun studying it in detail recently, but it’s quite compatible with values I’ve held for a long time. Google “site:earlyretirementextreme.com stoic” (without the quotes) for more posts. Of course if you’re a Christian or a Buddhist, this isn’t likely to help you as much as something closer to “home”. @aniara – The real question is “replaced with what?” + the realization that the long term isn’t that long. You probably noticed that oil prices where spiking a couple of years ago. You might also have noticed that food prices have gone up and down by tens of percent a couple of times over the past few years (the tortilla crisis). This volatility is driven by shortages. The world as such actually DOES NOT have any wheat storage to speak off. Most of the reserves is “in transport”. We’re fully reliant on being able to ship things around. If wheat production failed over a wide area in any year, we’d be in deep dodo. Resources we can’t survive without includes water (on CIA’s hot list as being a future US issue, the aquifers are running out… in some places the ground is literally sinking) and oil (most of our energy and chemical feed stock, it essentially drives our entire agricultural production). Oil unlocks a lot of other resources (mining and processing). I recommend “Geodestinies”. @Jacob, water is truly the best argument IMHO. And the water argument might justify your bleak view of the future. Unfortunately this is a part of the tragedy of the commons, the governments HAS to take responsibility for the quantifiers in order to resolve the long term water issues. Oil I dont see any real concern for. Today around 70% of oil is used for transportation, and the current oil supply has at least 100 years left at the current run rate. In 2008 19% of the worlds energy came from renewable sources. I would suggest that its not very far fetched that by 2030 that number could at least double (or triple if the political will is there). I find it unfathomable that we wont have found political will to replace a substantial portion of the need for oil with regular electricity witin the next two decades (which should at that point in time come from renewal sources). Sure this will mean resource constrains for other materials but It will probably be a mix and match of various local solutions. I guess what i am arguing is that you might be correct about your world view in the LONG run, but I cant see the fundamentals supporting your position for at least an other 50-100 years from now. @Jacob-Re:Spirituality. I don’t believe in any of man’s gods. What really helped me see myself more clearly was understanding the roles of genes, memes, and ego in determining how and what I think. Evolutionary paychology and cultural evolution, nicely outlined in the book The Evolving Self by Mihaly. I need to get reading, I am on Ch 2 of ERE so I guess I’m moving from the bottom up. I guess the big question I have is – Assume we save all this money and reach ER(E), living off the income going about our day. At some point don’t we need to transition out of the market (paper assets) as they are sure to lose value in a collapse situation? This is probably covered in your book and I just haven’t read far enough. @Aniara – A 100 years? The world’s reserves at best are around 1200 GB. The consumption is around 30 GB/year. If oil drilling worked like a swimming pool (and it doesn’t) that gives 40 years. Because of this, we’re going to have oil for the next 100, we’re just not going to have a lot of it. The supply will decline by 2-4% annually. The flexibility in demand is in the transportation sector. This is were chosing your location well comes into place. @Kevin M – It’s not covered. It depends on whether you’re invested in government debt or hotdog stands. The best paper investment strategies I’ve seen for the “bad outcome” is Stephen Leeb’s works. just now putting the final touches on my fusion reactor and I’m breeding unicorns as fast as I can. nice fringe benifit of those, they pee the sweetest, purest water you’ve ever tasted. A peak oil denier ex-friend sent me this. It basically says that there is a lot of oil on the US Canada border. The website seemed sketch but what do you think, jacob? I love your site by the way. As a young, black woman it often feels that very few people in my demographic are thinking about these things. Peak Oil is a myth, there is plenty of oil in Alaska. Lindsey Williams talks about his first hand knowledge of Alaskan oil reserves larger than any on earth. And he talks about how the U.S. government won’t send it through pipelines for U.S. citizens to use. A subject I’ve been interested in for many years. In reference to posts on giant reserves, the planet is awash in fossil fuels – but that doesn’t mean it can be economically extracted and most of it will remain where it is. My take on the current economic climate is not one of a global debt crisis, but more of a global growth crisis (that cannot be sustained anymore due to resource maturity). There will “always” be oil and the price of the barrel isn’t the biggest issue – it’s whether we have enough surplus wealth to afford the price. Jacob – two more books for the reading list! I must say, your book is one of the few books I feel like I really want a physical copy of. MMM has trained me to let the library store my books, but I really want to annotate and reference it! It’s interesting reading the talk of survivalism because members of my extended family are big into survivalism, though from the opposite side of the political spectrum. Instead of worrying about peak oil, they worry about the unstated #4 possibility (rapacious government). In fact, they keep 200+ acres of farmland just in case we have to go back to some form of subsistence. I know the book ‘Antifragile’ has been discussed in the forums, but have you read it yet? I’m in the process now, and this post reminded me of much of the discussion in the book. It’s better to work to avoid bad outcomes than seek benefit. @Matt – Yes, I have. I used to be really worried about stuff like this. But now I study natural resources for a living and I’m not so panicked. There are plenty of hydrocarbons to meet rising demand and to keep us going for a very very long time. Technology really does unlock new opportunities when other things run out and/or prices get high enough to make them economic – think shale oil, gas. On fresh water, us humans only use about 10% of what is renewably available on an annual basis. The problem is that population and freshwater are not evenly distributed around the world. But there are always solutions if we understand the situation by way of analysing good data rather than responding irrationally to emotional rhetoric. On population growth, we’ve already reached ‘peak child’, so population growth now is a function of ‘filling-out’ the age range. We’ll see what happens to the global economy when total population plateaus. Probably a lot of growth left for a long time as living standards improve in the rest of the world. Climate change is still a big concern. But the truth is nobody knows what is going to happen – the scientists are now scrambling to explain the lack of warming over the past 10 years. I’m not saying global warming isn’t happening, but rather that we just don’t know how fast and to what extent it will have an impact. It seems better to risk ‘not much’ happening than to make a dramatic change to our current system which is actively pulling so much of humanity out of poverty and the truly terrible things that go along with that like high infant mortality. Jacob, are you still pro-peak oil amidst the shale boom and China’s unsustainable growth (its credit bubble is about to turn it into a new Japan)? @Stanislaus – Conventional oil has already peaked. Also, it seems that shale is not very profitable below $90/bbl, meaning shale costs about as much to extract as it’s remunerated. I fear that a lot of these boom/bubble projects are driven by cheap interest rates and resulting speculation which ties into your second point. Who doesn’t have a credit bubble these days? A few years ago, I found Jacob’s blog while reading about peak oil. And since then, oil extraction in North Dakota has gone gangbuster. Some experts say this production rise is directly related to our drop in US fuel prices, which is just simple economics, of course. But the questions to ask are: how much oil does the US really have, and, at what price does extraction become unprofitable? From what I understand, most of the world’s major conventional oil fields are in decline (just as predicted), so that leaves us with unconventional fields and the hope that technology will save us. I’m by no means a pessimist, but I do believe our lives will change significantly in the next 20 years, due to oil decline. And to me, implementing some of Jacob’s lifestyle choices into our own lives could make that transition less difficult. Considering North Dakota, do you think they’re out there simply drilling down into the earth’s crust and that oil is simply shooting out like geysers? Well, it’s not. Getting the stuff out takes tons and tons of water, and sand. The sand comes in by rail cars from locations across the Midwest, mostly. It is mined from the hills dotting the countrysides, disrupting the soils and taking away the natural filtration systems (sandstone) that nature provided the area. The sand mining process takes tons and tons of water, and fuel, to turn the sand into oil patch-ready input. Do you see where all this is heading? Into a big, fat spiral. I have a hard time seeing the peak oil doom projections coming true. I’m in western Canada with massive quantities of oil, natural gas and water near me. At $100/barrel these petrol resources are economically viable. Renewables are on the rise and can take over the non-transport energy demands reasonably well. Using petro energy for transport keeps things rolling literally. I think that gets us a 100 years down the road. Not saying there won’t be a crisis, disease or other global problem, but I don’t see lack of petrochemicals hurting North America directly in the next 20-30 years. You have a way with words and thinking rationally which is a breath of fresh air in a world where common sense is just not that common. Me, I take a simpler view that you have to leave the world in a better shape than you found it. The ERE concept is certainly one way to do this, but I suppose one can also toil from dusk till dawn in a job that helps improve the world think about social workers, teachers and the like. These people might not be living the ERE way but they certainly have a similar impact on themselves and the world. The idea of early retirement is great for many. one major challenge is to correctly estimate the money required. Most fail to estimate the future expense. Calculators like these http://aboutmf.com/retirement-expense-calculator/ help many. I wish you can write a post about the pitfalls of estimating expenses and tools which are reliable.